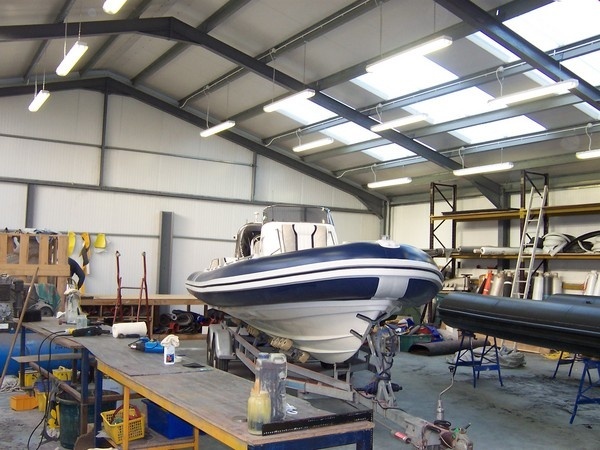 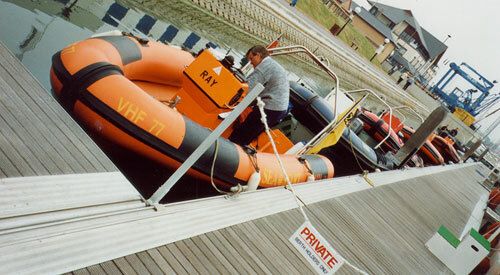 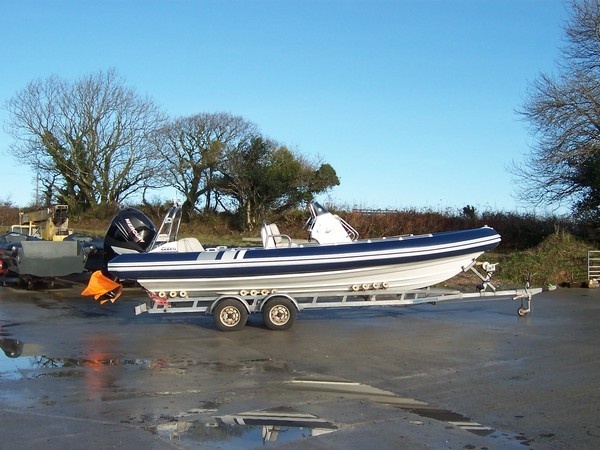 While your Cobra RIB is with us for retubing we can also carry out Fibreglass and Hull Repair, Electrical system maintenance and rib boat engine maintenance tasks. 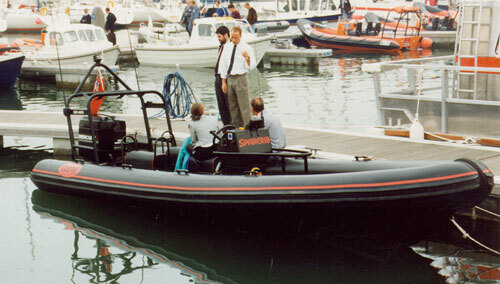 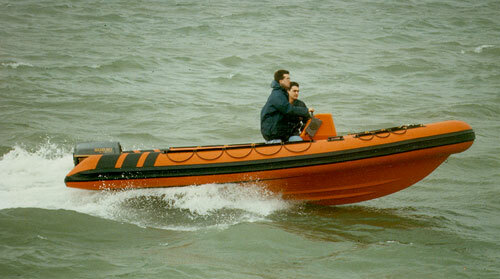 We aim to be very competitive on rib re-tubing cost so please contact us for a no obligation retube price quote for your Cobra RIB. 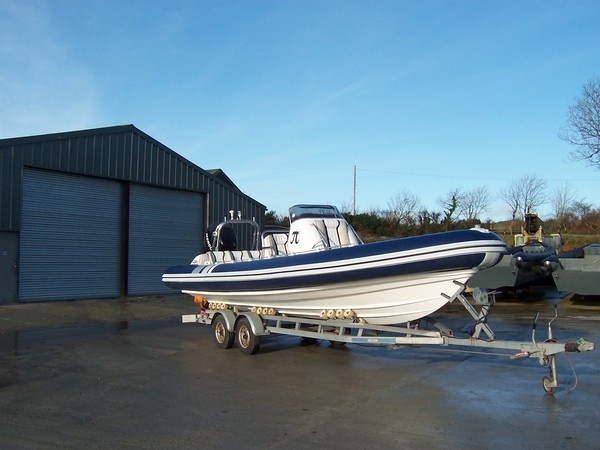 Cobra 7.5 mtr RIB retubed in blue with white rubbing strakes and ready for customer collection.